Only Organization Administrators can create and edit competencies. 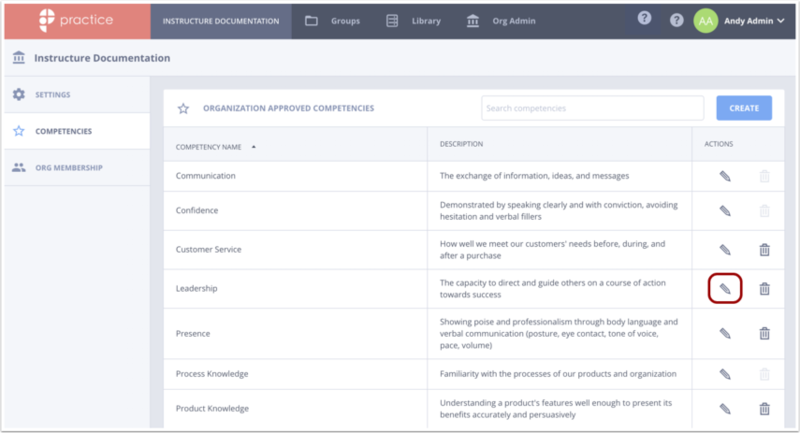 The following article outlines how you can access your competency page, create competencies, and edit competencies. 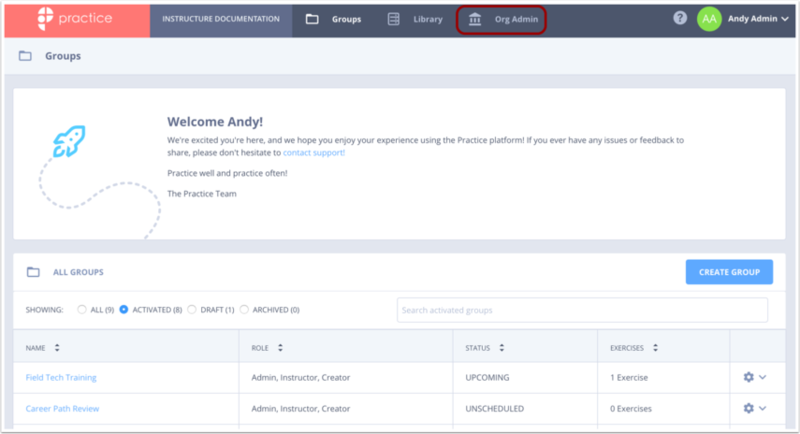 Click the Org Admin link. Select Competencies from the panel on the left hand side of the page. Select the blue Create button. 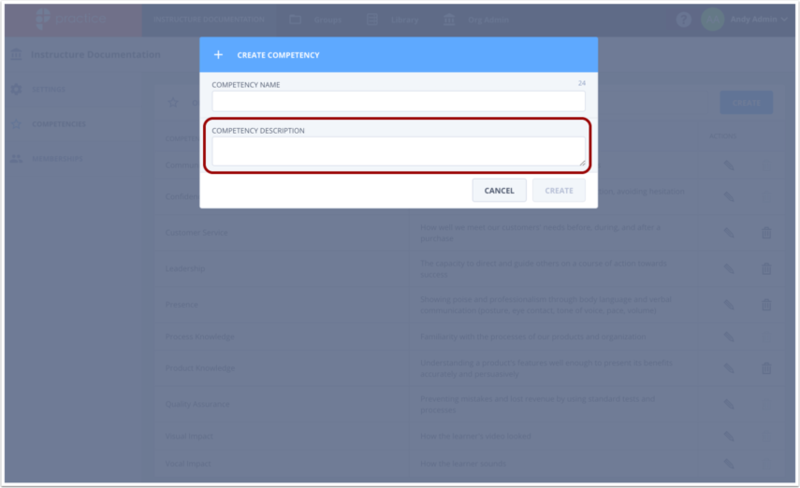 Type the name of the competency in the Competency Name field. 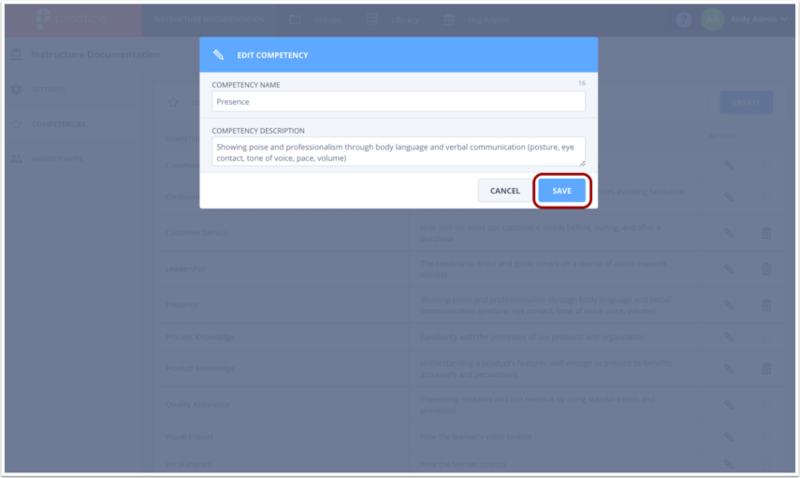 Type in the description of the competency in the Competency Description field. When you are done creating your competency select the blue Create button. Select the pencil icon associated with the competency you want to edit. Make your edits. When you are done, select the blue Save button. It is important to note that once a Competency has been employed in an Active Exercise and Learners have been assessed on that competency it can be edited but not deleted. Previous Topic:How do I request a new exercise response from a learner in Practice? Next Topic:What are the technical requirements for Practice? Table of Contents > Organization Management > How do I create and edit competencies in Practice?